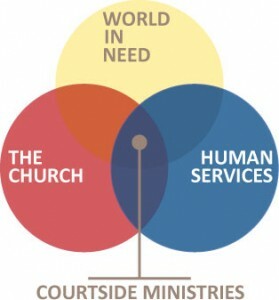 Courtside Ministries mission is to enable people working in or going in and out of courthouses to experience the love, grace and power of Jesus Christ by inviting His presence through prayer. We desire to see people encouraged through hope, strengthened through prayer, guided by the Bible, helped by the community, reconciled to each other, and forgiven through Christ. To accomplish this mission we will partner with local churches and faith-based social services for sustainable follow-up, discipleship and support. 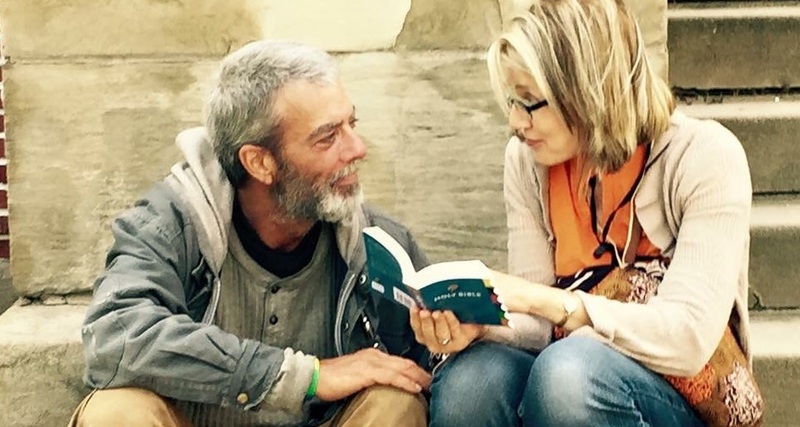 We offer prayer for people as they enter the courts, share Bibles and biblical resources that relate specifically to their situations, refer individuals to human services organizations (homeless shelters, food banks, legal aid, counseling, and local churches) and conduct follow up contact with any person who needs further help. 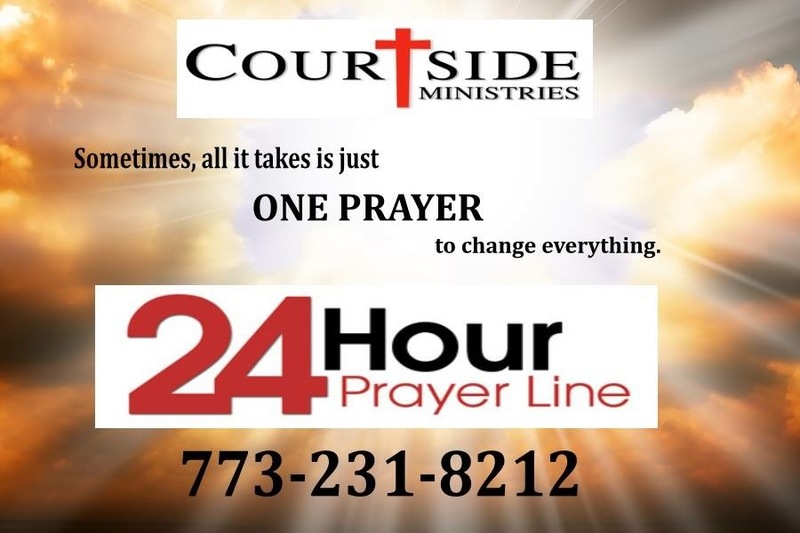 Courtside Ministries has prayed for more than 450,000 people, referred more than 36,864 to local churches and faith-based human services including food banks, shelters, job training, legal aid and counseling services. We believe that ministry must be holistic, meeting the physical, spiritual and emotional needs of every person with whom we have contact. 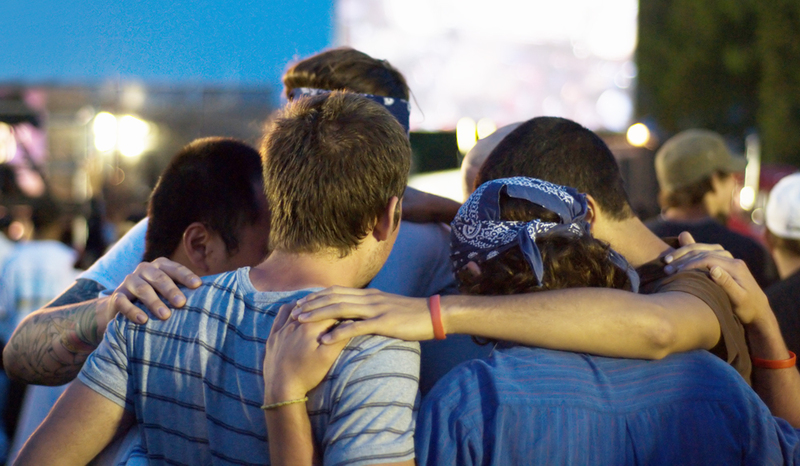 We have prayed with 16,807 people to commit and re-commitment their life to Christ! At Courtside Ministries, we believe that Christ meets people at their point of physical and spiritual need. As a result, we work to meet the needs of the whole person, physical and spiritual. View stories from the courthouse on our Facebook page. Our goal is to reach people involved in the legal system by establishing Courtside Ministry Chapters in every state, ultimately reaching the nation and nations for God’s glory! Today we have four Chapter locations that act as the headquarters for the many courthouses in that region. Find the closest Courtside location to you. Reasons to serve with courtside? Every year, 30 million people are impacted by the legal system, many whom are facing financial, relational and spiritual ruin. People involved in the legal system are typically afraid, angry, frustrated and spiritually destitute. 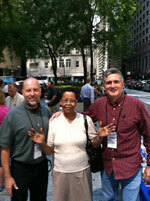 Courtside exists to offer the love, peace and wisdom of Jesus Christ to anyone involved in the court system. People embroiled in the legal system are perhaps the largest unreached people group in America representing a huge opportunity for ministry. These people are loved by God and He wants each one to experience the redemption that comes through a relationship with Jesus Christ. We reach them at their point of deepest need. Courtside Ministries was born out of a vision to reach people with the grace and love of Jesus at time when they are facing desperation and uncertainty. Praying for individuals as they enter & exit local courthouses – The truth is, local courthouses are not fun or happy places. People coming into the courts, from judges all the way to defendants, are there because they are dealing with legal problems of some sort. These issues usually bring about fear, frustration, anger, bitterness, loss and uncertainty. We believe the most important thing we can do is pray with and for people entering the courts, offering them the peace and wisdom that comes from being in the presence of the Lord. Providing Scripture & Biblical resources – People dealing with the emotions of legal issues need wisdom, grace, hope and compassion. The only lasting source for these needs comes through a relationship with Jesus Christ and the message found in His Word. At Courtside, we provide Scriptures and biblical resources that enable people to see God’s perspective on the issues they are facing. We are always looking for donated Bibles to give out to those in need. Visit our Serve page for other items we accept for our Courtside table. Providing referrals to local churches & faith-based organizations – A primary goal of Courtside Ministries is to guide people into regular fellowship in a local church that can support their physical and spiritual needs. Courtside works strategically with churches in the community to effectively minister to people and encourage their ongoing involvement in church fellowship. View some of the support agencies we partner with. If your organization would like to be added to our human services list, contact the Director of your local Courtside campus. Ongoing support – Courtside Ministries uses a team of volunteers to contact the people we help to ensure that they are continuing to receive the physical and spiritual support they need. Provide local churches with an active ministry for their members to participate in making an eternal difference in their communities – The call of every believer is to reach out to those around them with the love and grace of Jesus Christ. As a non-denominational, evangelical Christian ministry, Courtside Ministries offers church members a dynamic way to reach out in their communities with the love of Christ through prayer, volunteer service and giving. Find a local church near you. J. Tyler Makepeace was in private practice in Colorado Springs, Colorado when he founded the ministry work of Courtside Ministries there. His practice areas were primarily family law, criminal, juvenile and adoption work. He graduated from Colorado College in 1969 with a BA in Political Science. He earned his JD from the Colorado School of Law in 1972. He was a member of the American Trial Lawyers Association as well as the Colorado Trial Lawyers Association. He was an active member of the Colorado Bar Association and vice-president of the Colorado Springs Christian Legal Society Chapter. He passed away in 2013, survived by his wife and their four children.